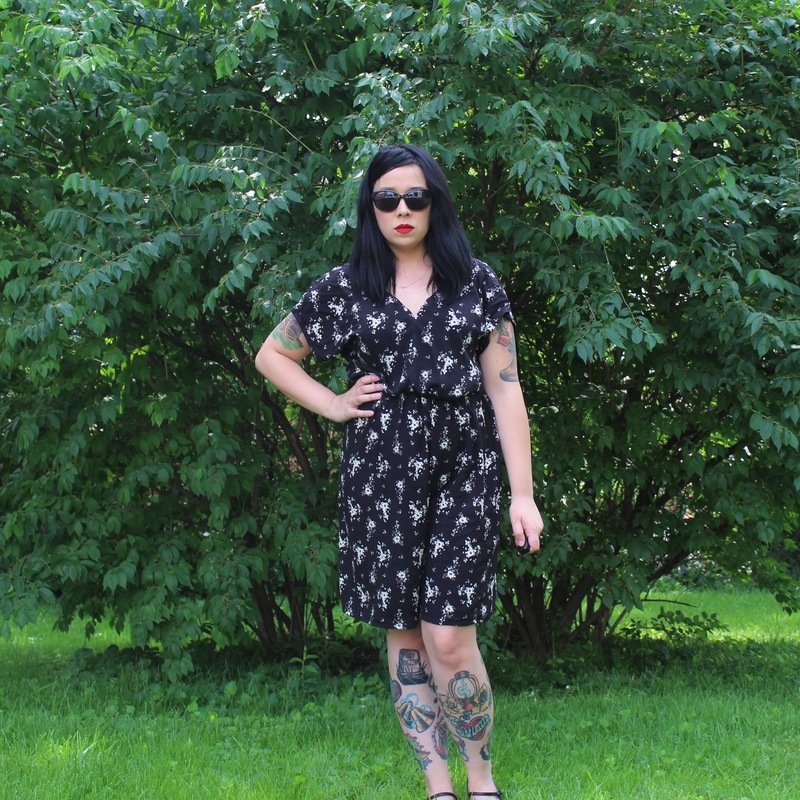 The Seamwork Kimmy. I really wanted to switch from my usual super tight stuff to something I could feel comfortable in. Kimmy is a loose fitting frock with dolman sleeves and and an elastic waist. Seriously loved it from the moment I saw it. As it had been awhile since I’d made something, I really took my time with this one. All the seams (except the waist) are finished with single fold satin bias tape. I posted progress photos on my Instagram, I even seam ripped things I normally would let slide. I got back to really enjoying the sewing, folks. She’s still not perfect, but I had fun with it. I wanted to keep this fairly lightweight, something good for this beast of a summer. I didn’t feel like waiting for shipping, so I ended up with this floral from Joann’s. It’s not the great quality but it definitely fit the need. It’s a bit of a pain to sew poly satin binding to rayon, but it’s worth it I think. That said, the fabric had a defect (a hole) that I didn’t notice until I’d already finished the dress, so be wary. The pattern itself was pretty easy to sew up, though there were a few things that kind of irked me. 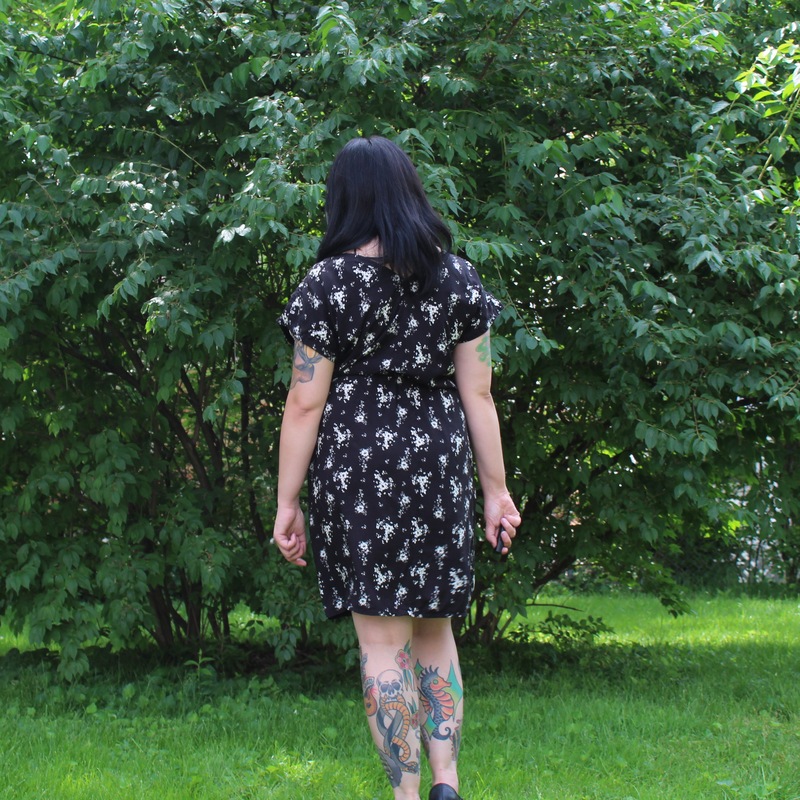 The waist calls for braided elastic, but the pattern doesn’t give any insight on what size. I just used what I had on hand. It also calls for drawstring cording for the sleeves, but again, no size is specified. I was going to make some just from my fabric, but I got lazy and didn’t. I’m sure that’s not surprising. While I did was a loose fitting garment, looking at the finished garment measurements, I didn’t want it to be quite that loose. According to the size chart, I should have made a 10, but I opted for an 8. For Seamwork members, there is a bonus wrap bodice option, which I really dig and will probably make next time. I also think it would nice in a sheer fabric, as a swimsuit cover up. I am planning to make more, and it’s great to be sewing again! 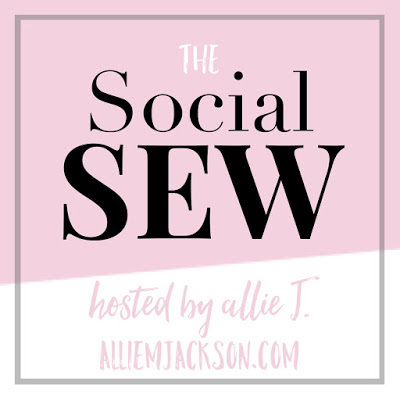 What do you do when you’re in a sewing funk? Tips? Tricks?